Thanksgiving 2018 is just 48 hours away. If you’re hosting dinner this year you probably have your menu planned by now. If you’re celebrating with friends or family you know what you’ll be contributing to the meal. But what about the blessing? 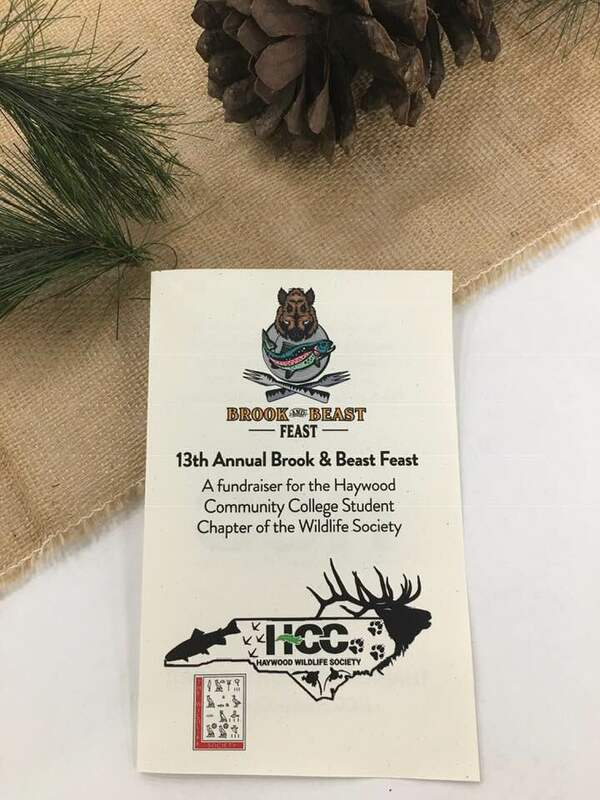 Last Friday night Mike was coaching, so Mom and I decided to attend a local event with an intriguing name we had seen advertised around town: the “Brook & Beast Feast.” It was a fundraiser to benefit students at the local community college, and as newcomers to Haywood County we had no idea what to expect. I presented our tickets at the door, explained our newbie status and asked where we should go next. The college student who greeted us politely explained how the evening would proceed: we were welcome to look at the items offered in their Silent Auction, visit the sponsor booths and then join the line for the meal, which would feature fish and meat plentiful in these hills: fresh brook trout, smoked venison, pulled pork and, yes, bear! I looked at Mom, bemused and touched. This was a secular event for a local college, but no feasting would take place until the food had been properly blessed. If you haven’t planned your blessing yet for Thursday might I suggest one? Several years ago, I had the privilege of sharing a working lunch with the Rev. Dr. Barry Black, Chaplain of the United States Senate. The publishing company where I worked collaborated on a series of books with Dr. Black, including The Blessing of Adversity and Make Your Voice Heard, and I had the privilege of assisting our author with media. When lunch arrived in the middle of our marketing meeting, we asked the chaplain if he would honor us by praying the blessing over our meal, and he graciously agreed. Now you need to know something about this remarkable man. If he chose to use them, Dr. Black would have more letters after his name than there are in the alphabet. In addition to earning master of arts degrees in divinity, counseling, and management, he also has a doctorate in ministry and a doctor of philosophy degree in psychology. In the poverty-stricken neighborhood where Chaplain Black grew up in Baltimore (described in his memoir From the Hood to the Hill), a man like this could only be described as one smart dude. So when we bowed our heads to pray over that Wednesday workday lunch, I was expecting an impressive prayer – something long and eloquent. After all, this is the man whose prayers are recorded in the Congressional Record, right? And those with food who have no friends. Today, Father, we are most fortunate to have both food and friends. For this we most humbly thank you. Do you have friends with whom to share your Thanksgiving meal this year? If not, don’t wait to be invited. Ask around instead and find someone else who might be alone. That’s what we’ve done most years. If you have food to eat and friends to eat it with you are richly blessed. Me, too. Thank you dear Pat! Sending you a personal note right now. Maggie, my friend, I agree about the prayer, and I intend to use it on Thursday, with attribution to Dr. Black. Thank you! And may you and Mike and your mother continue to be blessed–and not ONLY on Thursday! Dikkon, I love to quote our authors, as you know. And one of these days I’ll be quoting YOU again! Wishing every blessing to you, Channa, and your family. We are grateful for you. I loved this, Maggie! What an eloquent blessing! I heard Dr. Barry Black speak at a Christian Congress in Boston years ago and was so impressed and moved by his story. He is a true Man of God and I’m so glad he is still the Chaplain to the United States Senate. Sylvia, how wonderful you were able to hear Dr. Black speak! 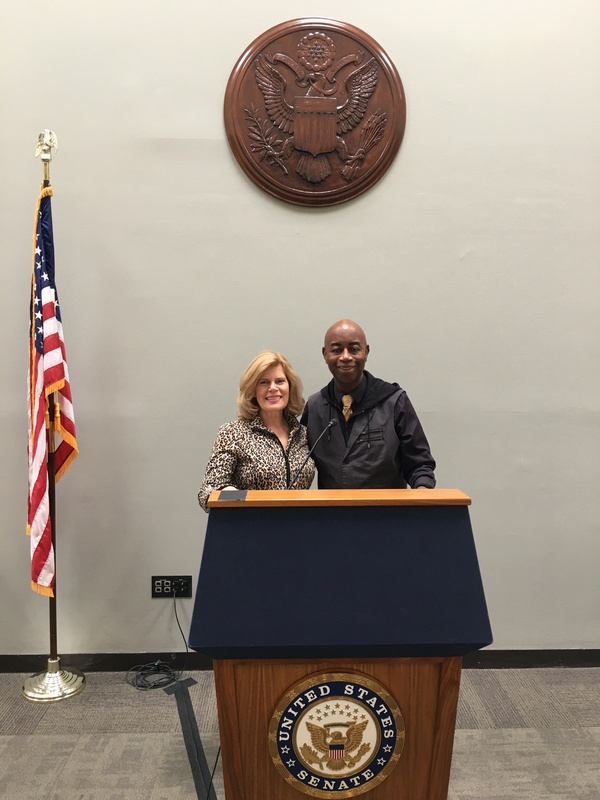 He’s been the Senate Chaplain under three presidents now. Mike and I think so highly of him. Love this perspective, Maggie! Happy Thanksgiving to you! You and Mike never forget the blessing whether at home, a restaurant, the car, a picnic — everywhere and anywhere. PTL! And neither do you, Mom. We are blessed!